The history of the companies that now make up UBM stretches back almost two hundred years. UBM businesses still publish many other titles that were launched in the 19th century, including Building magazine, launched in 1843 by Joseph Hansom, as well as Chemist & Druggist. The company was founded in 1918 as United Newspapers by David Lloyd George to acquire the Daily Chronicle and Lloyd's Weekly Newspaper. In 1929, the company merged with Provincial Newspapers, an owner of regional papers in the north; the next year, it sold its national papers. The company continued for decades as a regional newspaper publisher, making acquisitions such as Yorkshire Post Newspapers in 1969. It acquired PR Newswire in 1982. In 1985, it bought Express Newspapers and continued to publish the Daily Express for some 15 years. Also in 1985, it bought US trade magazine and book publisher Miller Freeman. It changed its name to United News & Media in 1995, sold its regional papers in 1998, and bought CMP Media, a technology-focused trade media company, in 1999 for $920 million. In 2000, it sold the Daily Express to Richard Desmond, sold most of Miller Freeman to VNU and Reed Elsevier and adopted the name of United Business Media. United Business Media acquired the trade publisher Aprovia UK (owner of The Builder) in 2003 and the medical publishing company MediMedia in 2004. MAI was part of a consortium which bid for the ITV south and south east area, which formed Meridian Broadcasting in 1991. MAI began to expand following the successful launch of Meridian: in 1994 the company bought Anglia Television, the ITV franchise for the east of England, and the following year became a major shareholder in the consortium that won the franchise for Channel 5. In 1996, MAI merged with United Newspapers (via an agreed takeover by United) to form United News & Media (UNM). The resulting company owned the Daily Express newspaper, Meridian, Anglia, and a large shareholding (through the Yorkshire Post) in Yorkshire Tyne Tees Television, the owners of Yorkshire Television and Tyne Tees Television. The stake in Yorkshire Tyne Tees Television was sold to Granada, allowing them to take control of the two franchises in 1997. In November 1997 UBM also launched the now defunct satellite TV Channel Rapture TV which focussed on dance music and extreme sports. The channel was put up for sale in 2001, and was eventually brought by Edinburgh based company Power TV a year later, in April 2002. United News and Media later agreed to buy Scottish Television's 20% stake in HTV and on 28 June 1997, HTV was taken over fully by UNM for £370 million. In 1999, plans emerged of a merger between UNM and rival Carlton, however these talks failed when it appeared that Meridian would have to be sold off as a condition of the deal. As a result, the television assets of UNM were sold to Granada, however due to regulations stating that the company could not control that large an audience share, the broadcasting arm of HTV was sold to Carlton in exchange for Central's 20% stake in Meridian. In 2005 UBM re-focused on two principal businesses: PR Newswire, a global news distribution business; and CMP, an international events, print and online publishing business. It disposed of NOP which was acquired by GfK for £383 million in 2005. In September 2006, NewBay Media acquired CMP Entertainment Media from United Business Media.The trade book operations of CMP were sold to Elsevier and Hal Leonard. It went on to acquire Commonwealth Business Media for $152 million in 2006. On 1 July 2008, as part of a reorganisation of the corporate structure of the Group, United Business Media Limited (UBML) was created as a new holding company and parent company of the Group. UBML is UK-listed and incorporated in Jersey. In 2010 the principal holding company of the United Business Media group (the "Group") was organised into five operating segments: Events, TD & M, Data Services, Online and Print. In 2008, UBM moved its tax headquarters to Ireland, but in 2012, the company announced its intent to move its tax base back to the United Kingdom. In September 2010, Canon Communications announced that it had agreed to be acquired by UBM. In May 2011, United Business Media officially changed its name to UBM plc. In February 2012 Yankee Group sold its annual 4G World telecoms and wireless trade show to UBM plc where it was incorporated into its UBM Tech division. Briefing Media acquired UBM plc's UK agriculture and medical general practitioner portfolios for £10 million in February 2012 while UBM plc announced the acquisition of four trade shows in Asia for 19.4 million in the same month, marking UBM plc's continuing transformation into an events and B2B marketing services company. In 2012, PA Group, the parent company of the Press Association, sold its 50% stake in Canada Newswire to joint venture partner UBM for £30.1 million. In April 2013, UBM's data services businesses were sold to Electra Partners. In October 2014, UBM announced it would acquire Advanstar Communications for a fee of $972 million. In November 2014 UBM plc CEO,Tim Cobbold,announced a new Events First strategy By 2015, UBM had rebranded itself as primarily focused on B2B events. Reflecting this, 82 percent of its business in 2016 derived from events and only 18 percent from other marketing services.In December 2015, UBM announced the sale of PR Newswire to Cision for $841 million, subject to regulatory approval. UBM had owned the company since 1982. Some analysts interpreted this as a further step in the transition from a diverse media company to a B2B events company. In June 2016 UBM plc announced the completion of the sale of PR Newswire to Cision. In the same month UBM reached agreement to divest its electronics media portfolio to an affiliate of Arrow Electronics Inc. for a cash consideration of $23.5m. The portfolio comprises the US and Asian versions of EE Times, EDN, ESM, Embedded, EBN, TechOnline and Datasheets.com. In January 2018 Informa announced the acquisition of the company for £4 billion. The transaction was completed in June 2018. ^ a b c d "Annual Report 2017" (PDF). UBM plc. Retrieved 30 March 2018. ^ "UBM History". Archived from the original on 15 July 2010. Retrieved 25 August 2017. ^ a b c d e "UBM". www.unitedbusinessmedia.com. Retrieved 25 August 2017. ^ a b "United Business Media plc History". Funding Universe. Retrieved 24 October 2012. ^ "VNU ACQUIRES MILLER FREEMAN FROM UNITED NEWS & MEDIA. - Free Online Library". Retrieved 2018-04-21. ^ Teather, David (2000-07-26). "United News sells off Miller Freeman Europe". the Guardian. Retrieved 2018-04-21. ^ Jay, Adam (2003-07-21). "UBM buys Aprovia for £79m cash". ISSN 0307-1235. Retrieved 2018-04-28. ^ "UBM buys medical publisher MediMedia in Â£188m deal". The Independent. 2004-06-02. Retrieved 2018-04-28. ^ John, Murray (19 February 1994). "Heseltine clears way for Anglia TV bid". The Independent. London. Retrieved 27 March 2012. ^ "Key dates in the history of commercial TV". An Overview of Television in the UK. Ofcom. Retrieved 27 March 2012. ^ "PRNewsWire". PRNewsWire. Retrieved 27 January 2011. ^ "Determination to resolve a dispute between Rapture Television plc and British Sky Broadcasting Ltd about EPG listing charges" (PDF). Ofcom. p. 7. Retrieved 11 November 2018. ^ Mathew, Horsman (25 October 1996). "Hollick secures a stake in HTV as fight for franchises hots up". The Independent. Retrieved 27 March 2012. ^ Newman, Cathy (28 June 1997). "HTV succumbs to United News in pounds 370m takeover bid". The Independent. Retrieved 27 March 2012. ^ "ITV: 20 years of ups and downs". The Telegraph. 16 November 2010. Retrieved 27 March 2012. ^ Billings, Claire (21 July 2000). "United and Carlton call off merger". Media Week. Retrieved 27 March 2012. ^ a b "Timeline: ITV 1955-today". Media Guardian. 7 October 2003. Retrieved 27 March 2012. ^ "United News sharpens focus". BBC News. 4 August 2000. Retrieved 27 March 2012. ^ "UBM sells NOP World for £383m". Retrieved 25 August 2017. ^ "Elsevier Extends Content Offering to Entertainment Technology Professionals". Retrieved 2018-04-21. ^ "Hal Leonard buys Backbeat Books for $2.2M - Milwaukee". Milwaukee Business Journal. Retrieved 2018-04-21. ^ "FindArticles.com - CBSi". findarticles.com. Retrieved 25 August 2017. ^ Annual report of UBML 2008/9 page 62. ^ Notes to the parent company financial statements at 31 December 2010 P146. ^ Notes to the consolidated Financial statements 3 P88. ^ "UBM plans to move tax base back to UK", The Guardian, 18 October 2012. Retrieved 30 January 2013. ^ Canon Communications LLC (16 September 2010). "Canon Communications to be Sold to United Business Media; Transaction Expands Global Reach... -- LOS ANGELES, Sept. 16 /PRNewswire/ --". prnewswire.com. Retrieved 3 April 2015. ^ "United Business Media name change to UBM plc". Archived from the original on 14 May 2011. Retrieved 25 August 2017. ^ Mash Media Group Ltd. "UBM acquires 4G World exhibition and conference". Exhibition World. Retrieved 30 March 2013. ^ "UBM - News releases". Media.ubm.com. Retrieved 30 March 2013. ^ "UBM Tech". tech.ubm.com. 31 January 2013. Retrieved 30 March 2013. ^ "Briefing Media". Briefingmedia.com. Retrieved 30 March 2013. 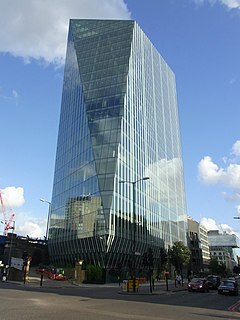 ^ "PA Group sells stake in Canada Newswire to UBM for £30.1m", The Guardian, 1 November 2012. Retrieved 30 January 2013. ^ "Events organizer UBM buys U.S. rival Advanstar for $972 million" (Press release). Reuters. 1 October 2014. ^ "News | UBM". Media.ubm.com. Retrieved 28 April 2017. ^ "Who We Are - UBM". www.ubm.com. Retrieved 25 August 2017. ^ "UBM plc announces the sale of PR Newswire to Cision - RNS". London Stock Exchange. Retrieved 28 April 2017. ^ "Informa to buy exhibitions rival UBM for £4bn". 16 January 2018. Retrieved 1 June 2018. ^ "Informa's takeover of peer UBM effective after court sanction". Alliance News. 15 June 2018. Retrieved 16 June 2018. ^ "UBM". ubm.com. Archived from the original on 27 October 2014. Retrieved 4 April 2016. This page was last edited on 25 December 2018, at 03:59 (UTC).